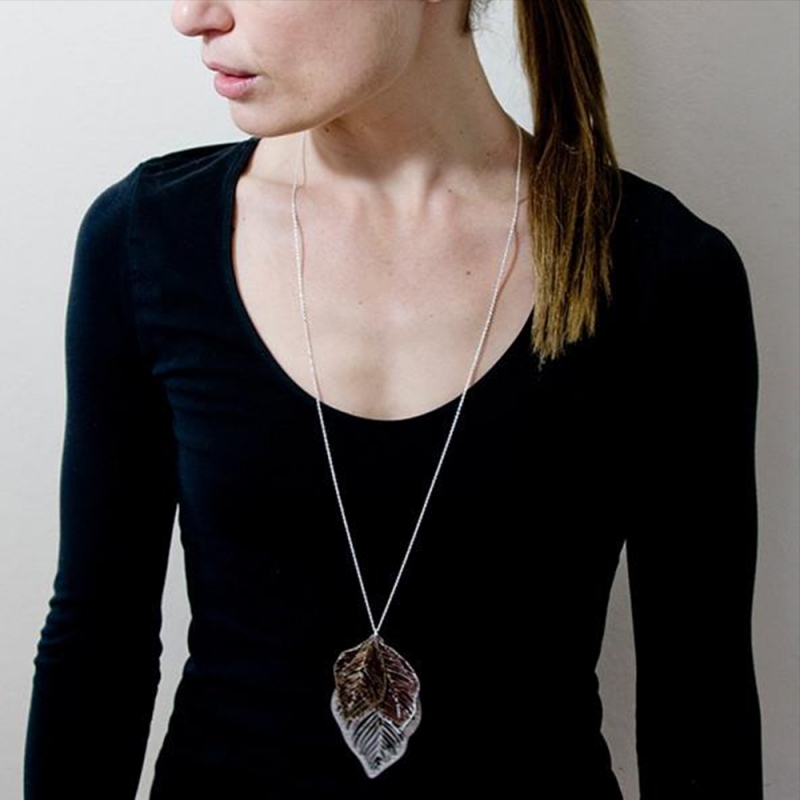 This beautiful etched, and anodised, 'Triple Leaf' pendant has been made using Anodised Titanium. This exceptional metal is perfect for jewellery, it is hypoallergenic, very lightweight and strong. The subtle colours obtained are achieved via an electrical process. Different voltages result in different colours. No dyes are used. The realistic leaf skeletons detail gentle undulating forms as may be found on the forest floor. As the etching is all the way through the metal in parts, it allows for a delightful play of light to shine through. The chain is of .925 sterling silver. Measurements Leaves Approx. H80mm x W50mm. Chain 80cm.